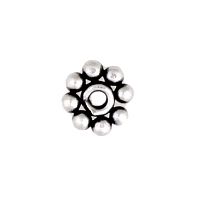 Sterling Silver Bali Bead measures approximately 1.2x3.5mm. Hole is 1.0mm. Copyright 2012 Finedings.net. All rights reserved.